Hey guys! Hope you all had a lovely break! Last night hubs and I pulled out the Christmas decorations and went out and got ourselves a real Christmas tree. The decorating process has begun! Exciting, I know. I have been stock piling my presents since early November and started wrapping them last night. This year I purchased a Stendig Calender to wrap all my gifts. I spent a crazy amount of money last year on fancy wrapping paper, so I was looking for a fun cheap alternative this time around. 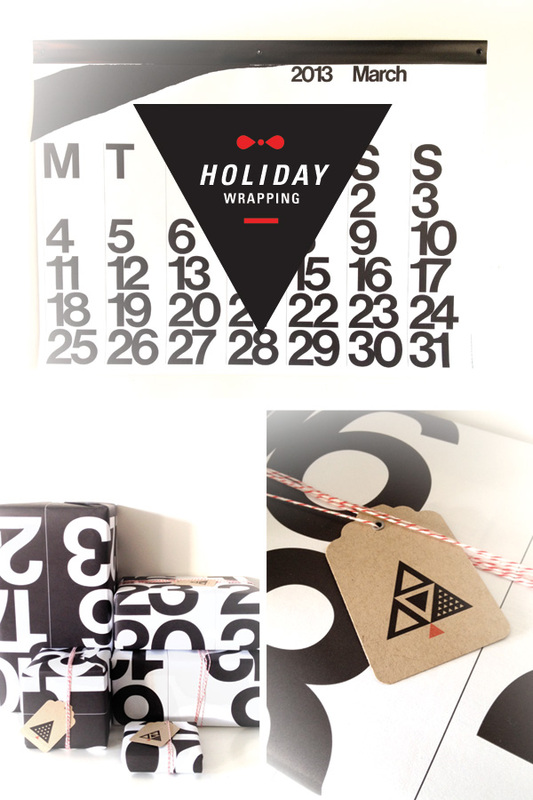 This lovely type based calender is 40 bucks and is nice and large, perfect for those big presents. The tags are from moonmud and available for purchase here.